We are so grateful for the generous support of our sponsors last year! Thank you to our very generous local 2018 sponsor Renewal by Anderson! We thank Capture Photography for their 2018 sponsorship! 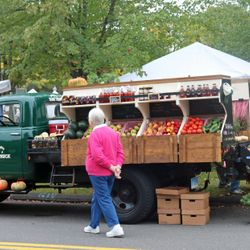 We also want to thank the fine people of Kane's Market for their support in 2018 of this important Simsbury tradition! We had wonderful food truck vendors last year! Live music was performed by Never Look Back!! 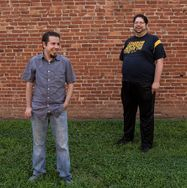 https://drive.google.com/open?id=1Z_YcMkrHMTI8KdP0YN1-tb0oYL1tRQUP Listen to them now! 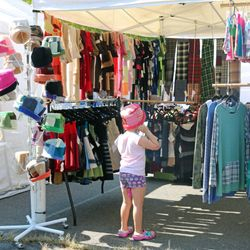 The Simsbury Woman's Club will host our 50th Annual Arts and Crafts Festival on Saturday, September 14, 2019 and Sunday, September 15, 2019. 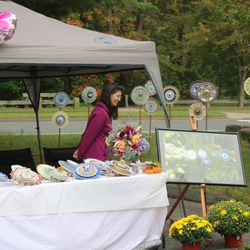 Over 100 artists and craftspeople will be displaying and selling their works on Iron Horse Boulevard in Simsbury Center. Admission and parking is free, and demonstrations, food and a bake sale are included. Proceeds enable the Club to grant scholarships and contribute to a number of area non-profit organizations. The Club is a member of the General Federation of Women's Clubs, Connecticut. 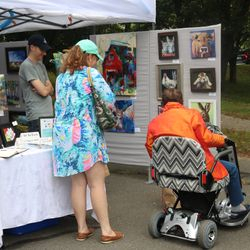 PLEASE CLICK THIS LINK TO LEARN HOW YOU CAN HELP US PROMOTE ARTISTS AND FINE ARTS FAIRS! 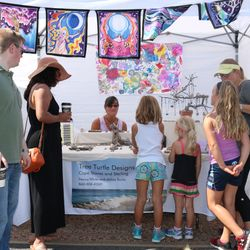 We love supporting artists and craftspeople, you can help us spread the love! 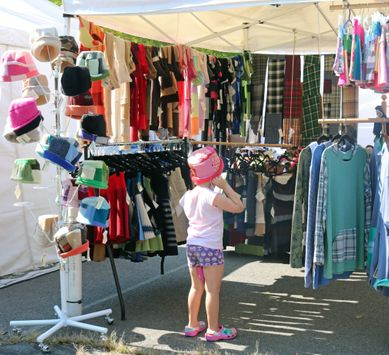 Beyond our modest costs of putting on this wonderful annual event, virtually all of the money raised through the Simsbury Woman's Club Arts & Crafts Festival goes back into our community. 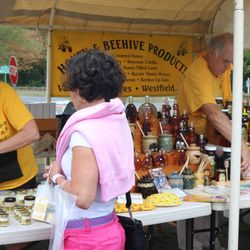 Proceeds go to toward scholarships awarded to Seniors graduating from Simsbury High School with plans to attend a vocational, technical, 2-year or 4-year institution of higher learning and to an adult woman who has returned to college to continue her education. The scholarship winners are invited to and acknowledged at the Club's annual luncheon in May. The balance of the proceeds are distributed to local non-profit organizations at the Gifts to the Community luncheon in April. CLICK HERE TO APPLY FOR THIS YEAR'S FESTIVAL!! Registration for 2019 is underway! We all <3 our pets, but because of the layout of the festival and exhibits we strongly encourage those attending to leave their furry family members safe at home.